Want Treats for Your Guests? 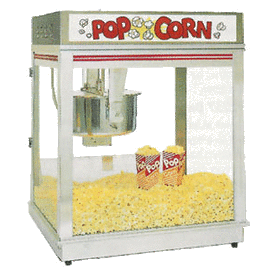 We Offer Concession Rentals Our concession rentals are a great way to combine snacks and fun to any Birthday, Festival, Holiday or Special Event. No need to search for another vendor to provide you with your sweet treat needs, we have you covered. All our concession rentals come with the products you need and are easy to use. Popcorn Machine comes with bags, corn, oil and seasoning for 25 bags of popcorn. Additional supplies are $10 for each additional 25. 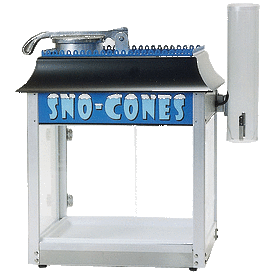 Snow Cone Machine comes with 25 cups and your choice of 2 flavors - Cherry, Grape, Watermelon, or Blue Raspberry. Additional supplies are $10 for each additional 25. 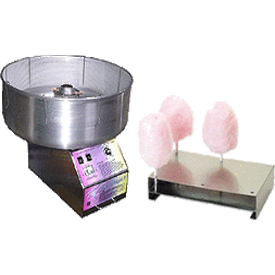 Cotton Candy Machine comes with enough cones and floss to make 25 cotton candy cones. Additional supplies are $10 for each additional 25.